Leonardo da Vinci paintings are amongst the most valuable and admired in the world. The artist himself was a real Renaissance man, extraordinarily talented in many subjects. All of his work, either paintings or else, are considered excellent examples of technique and vision. Lady with an Ermine is Leonardo da Vinci’s painting from 1489-1490. It is one of only four paintings of women by Leonardo and almost just as famous as the mysterious Mona Lisa. One of Leonardo da Vinci’s best-known paintings is Lady with an Ermine and Krakow has a privilege of being able to show it to the world. It is thanks to the Czartoryski Family and the museum founded by Princess Izabela Czartoryska. She was the family matriarch and art-lover who established the first art museum in Poland, in family’s residence in Pulawy in 1796. Because of Polish tumultuous past, her collection from Pulawy had to be moved several times during the course of 19th century. Eventually, it came back to Poland. The painting was placed in new premises of Czartoryski Museum in Krakow. Lady with an Ermine was acquired by Izabela’s son, Prince Adam Jerzy Czartoryski in Italy in 1800. It was a present for Izabela’s recently established museum in Pulawy. The Prince was undoubtedly aware of the painting’s provenance. Former owners of Leonardo’s painting, however, are unfortunately unknown. When the Lady with an Ermine arrived in Poland, the identity of the model was unknown. The fact of an animal depicted was considered to be just a natural element of the painting. It was only in the 20th century when special iconography analysis was conducted that revealed the model’s most probable identity. The Lady is almost certainly Cecilia Gallerani, a mistress of the Duke of Milan, Ludovico Sforza, who was Leonardo’s employer. Cecilia was a daughter of a man working at the Duke’s court. Their family was neither wealthy nor noble. On the portrait, she is about 16 years old and pregnant with Duke’s son. The ermine depicted has a complex emblematic significance. It was believed that ermines, kept as pets by the aristocracy, were to help pregnant women in their blessed state. The ermine, however, is painted in a way to cover girl’s pregnancy. When Cecilia was portrayed by Leonardo da Vinci, the Duke had already been betrothed to a girl from another noble Italian family. The ermine is a symbol of Cecilia’s purity and beauty, but also, an Ancient Greek term for an ermine is “galée“, what is a connection to Cecilia’s family name, Gallerani. There are more symbolic meanings for the ermine in the painting. The Duke Ludovico Sforza was called sometimes “Ermellino” or “ermine” in reference to the prestigious Order of the Ermine that he had been in. He also used the image of an ermine as his emblem. The portrait is, therefore, a subtle depiction of Cecilia with her lover. The painting had been in possession of the Czartoryski Family for over two centuries. Artistic patronage of the family had led to establishing one of the most prominent art museums in the world. Lady with an Ermine is by far the most valuable piece of art in Poland. Up to 2016, The Czartoryski Museum was an owner of the famous painting. 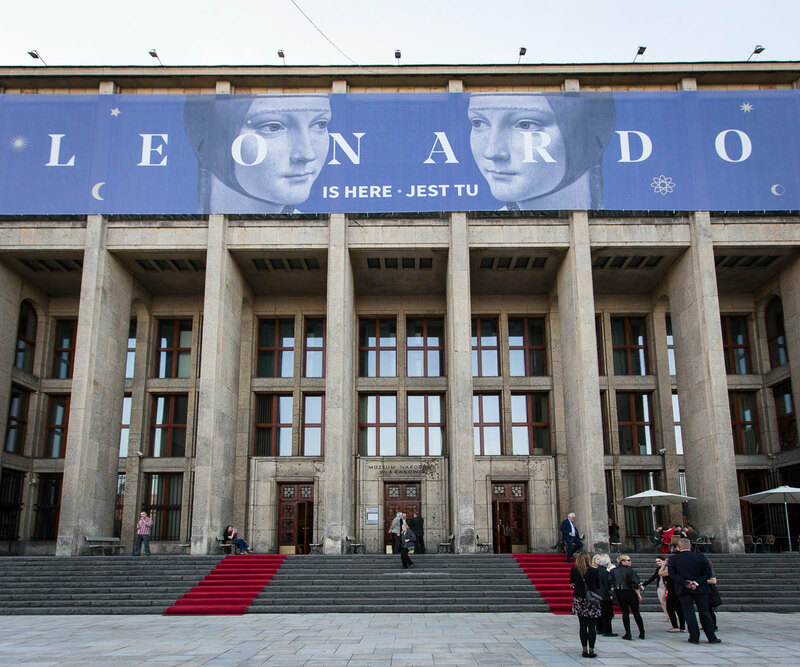 As a result of an agreement between the Czartoryski Museum and the Polish State, the whole collection was sold for the price of 100 million Euros. 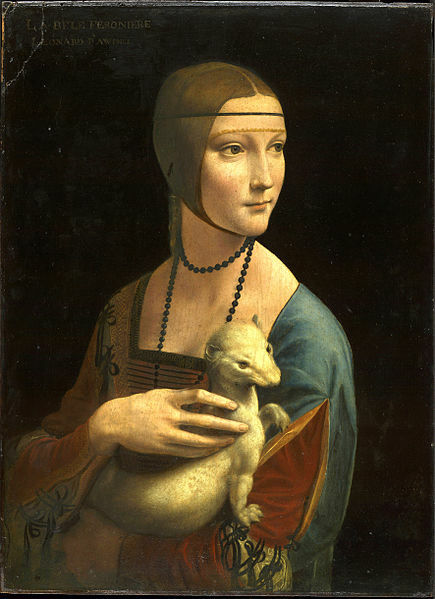 The rights to Lady with an Ermine was passed on to National Museum in Krakow. The Czartoryski Museum along with the Czartoryski Library were turned into branches of the museum. They are located in Krakow Old Town and are currently being refurbished. 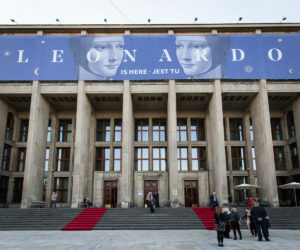 The painting was placed in the headquarters of National Museum in Krakow, where a special exhibition was set up presenting the most valuable pieces from the Czartoryski collection. The museum is closed for visitors on: January 1st, January 6th, Easter Sunday, May 1st (Labour Day), Corpus Christi, August 15th, November 1st (All Saints’ Day), December 24th and 25th. Limited opening hours (10 a.m. – 1 p.m.) on Holy Saturday, Easter Monday, May 3rd, November 11th (Polish Independence Day – closes 4 p.m.), December 26th and December 31st. One ticket for Lady with an Ermine exhibition, Gallery of Decorative Art and Gallery ‘Arms and Uniforms in Poland’.